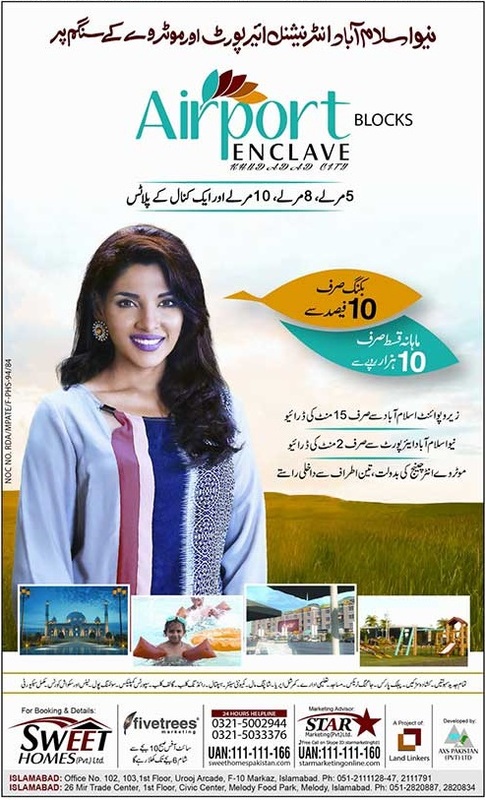 Airport Enclave Housing Scheme Islamabad is the project of Land Linkers Builders and Developers in association with Sweet Homes Marketing (pvt) Limited which is a sister concern company of Star Marketing (PVT) Limited; a pioneer in innovative real estate marketing in Pakistan. One of the marketing partners is Five Trees Marketing (pvt) Limited. Development work has started on this project while the booking is open. Airport Enclave Islamabad is located on main fateh jang near new Islamabad International Airport. It is master planned gated community project located close to Mumtaz City, Top City-1, PAF Fazaiya Housing Scheme and PECHS Islamabad. Its distance from new Islamabad airport will not be more than just 5 minutes drive. It is close to motorway M-2 interchange and distance from zero point is around 15 minutes drive. Investors and genuine buyers seeking housing opportunity in the close vicinity of New Islamabad Airport have this golden opportunity to grab a piece of land on very easy and flexible installment plan and comparatively very low prices. 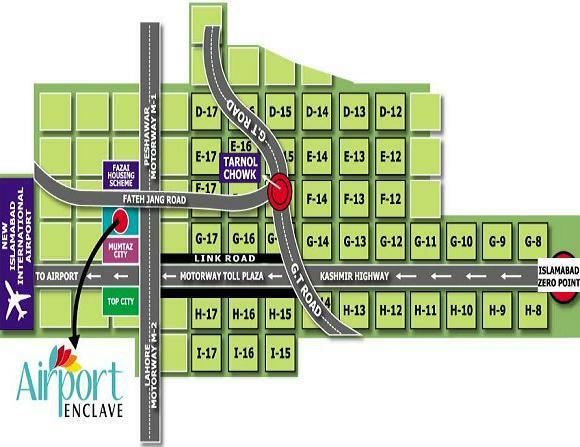 Airport Enclave offers a variety of plot sizes to suit the needs of all types of buyers. 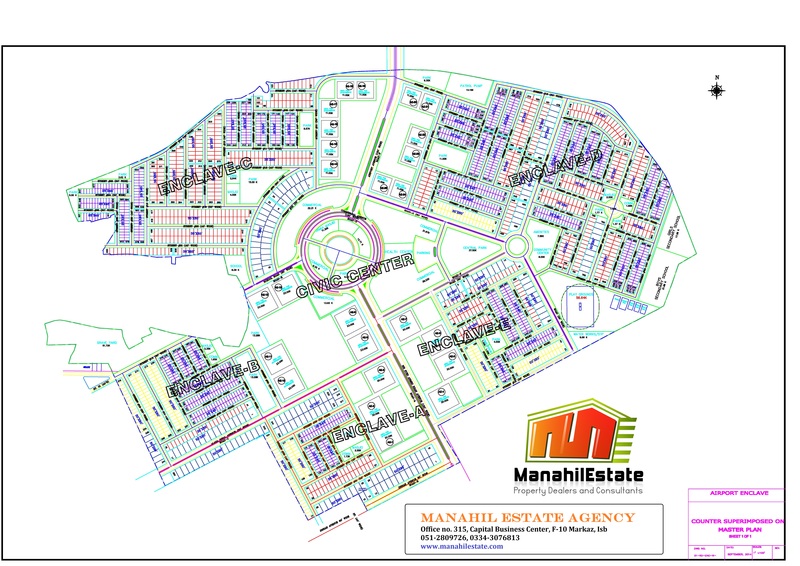 Available sizes of residential plots are 5 marla, 8 marla, 10 marla and 20 marla (1 kanal). Payment plan is the most attractive part of this project as it offers plots on as low as 10,000 rupees per month installment. Payment period is nearly 3 years. Plot prices are kept reasonably lower in order to serve the purpose of providing quality living to people at affordable cost. 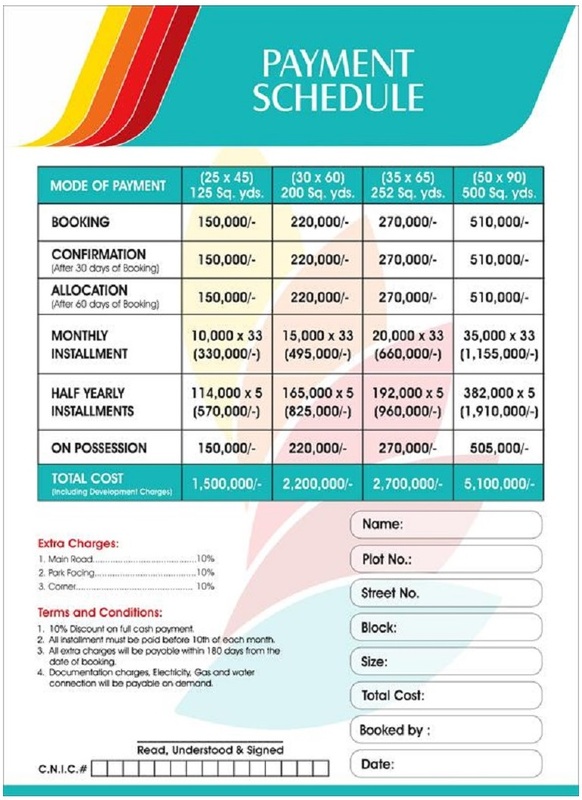 Booking of plots is available on first come first served basis. Booking starts from Rs 150,000/- and rest of the amount will be paid on 33 monthly installments and 5 Half yearly installments . Monthly installment starts from Rs 10,000/- . All payments are made in form of demand draft, pay order and check in favor of Airport Enclave. Note: You can book with plot number if you pay 30% upfront payment. Otherwise, allocation of plot will done after you pay allocation charges as per schedule.